Troubled by Sleep Apnea? We can help! 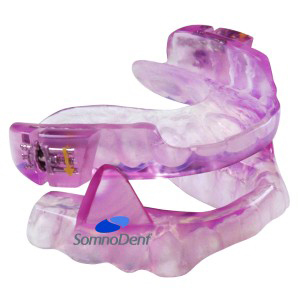 Dr Bernard E Frantz DMD has been successfully treating Obstructive Sleep Apnea (OSA) with Mandibular Advancement Devices since 1995. A member of the AADSM (American Academy of Dental Sleep Medicine) Dr. Frantz is a graduate of University of Scranton and Temple University School of Dentistry 1993. Dr. Frantz has lectured at the Geisinger Henry Hood Sleep Symposiums at Geisinger Danville, Geisinger South and Geisinger Baltimore Drive on the Parameters of Sleep Medicine. He has instructed other dentists on the proper choices of the over 60 different FDA approved OSA devices. What sets us apart from other offices is our commitment and our follow up to patient care. This has allowed us to see great success in treating and curing sleep apnea. Most of our referrals come from physicians and patients we have treated for OSA. Obstructive Sleep Apnea is caused by the collapse of the airway during sleep. The muscles, including those that control the tongue and throat, and soft tissues fall against the back of the throat and constrict the airway. The Mandibular Advancement Device repositions the lower jaw forward to prevent the tongue and soft tissues from blocking the airway allowing the patient to breathe on their own. The treatment goals include a reduction in high blood pressure, prevention of stroke and heart disease. Increase in oxygen concentration in the blood. Less work related injuries and automobile accidents, fatigue, daytime sleepiness and lack of concentration. 15+ Independent studies demonstrate the Mandibular Advancement Device’s significant benefits. 91% of patients who wear the device report improvement in sleep quality. Studies demonstrate a reduction in blood pressure, improvement in sleep quality, less fatigue and improvement quality if life. Patients who use the device describe their experience as “life-changing”. A comprehensive and thorough exam allows us to determine the best device to begin your treatment. Fitting the device, to properly start advancing the lower jaw comes next. We follow up with patients over the year adjusting their device to what is best for their level of apnea. This commitment of time and knowledge allows us to achieve our goal of helping each individual patient get more oxygen and a better night sleep. Curing each patient is our goal. SomnoDent Flex is made with unique SMH BFlex material, Flex has a soft inner liner which maintains retention and offers premium patient comfort. Drop in fit – even for patients with short teeth, little undercut or crown / bridge work. SMH BFlex is a proprietary soft polymer that is molecularly bonded to the acrylic device. The material will not delaminate or attract odors. 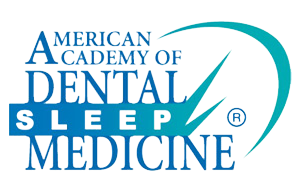 If you or someone you love is suffering from mild to severe sleep apnea you deserve the best treatment. Call Frantz Dental today to schedule your consultation at our Kingston dental office today! Our dental office also serves nearby Wilkes Barre, Pittston, and Scranton, PA! Please download and fill out the Somnomed dental sleep questionnaire. Bring the filled out questionnaire to your dental appointment.